This classroom report gives information about a jumpy insect. A cricket look like a green bug. It eat plants and grass. It hops and flies. It walks and crawls. The grasshopper eats crops and plants. It lives in the grass. It can jump. people catch and eat them. They then remove the wings and legs. The grasshopper make noise by rubbing there hind legs against their front wings. I like crickets. Crickets and Grasshoppers by Thoughtful Learning is licensed under a Creative Commons Attribution-NonCommercial-ShareAlike 4.0 International License. 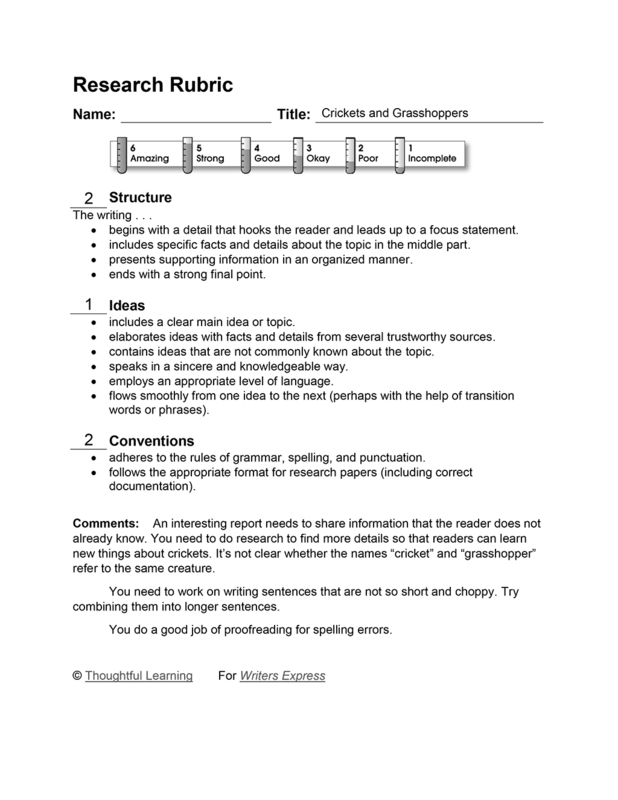 Based on a work at k12.thoughtfullearning.com/assessmentmodels/crickets-and-grasshoppers.